Dr. Marcia Valente is dedicated to providing our patients with the knowledge and tools that allow them to be well educated and to make the best choices concerning their oral health. Below, we have provided links to some websites that include valuable maintenance and prevention tips, as well as general dental information. We hope you find these sites as useful as they are informative! 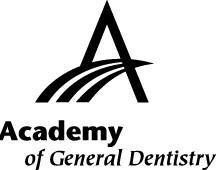 The ADA is the nation's largest dental association. It's website contains a vast library of information on a variety of oral health care topics, as well as in-depth explanations of almost all dental procedures.